Romantic moments are completely achievable in the capital with a bit of investigation and a splash of creativity. As we reach optimum temperatures, night falls with glistening stars that set perfect scenes for memorable dates. 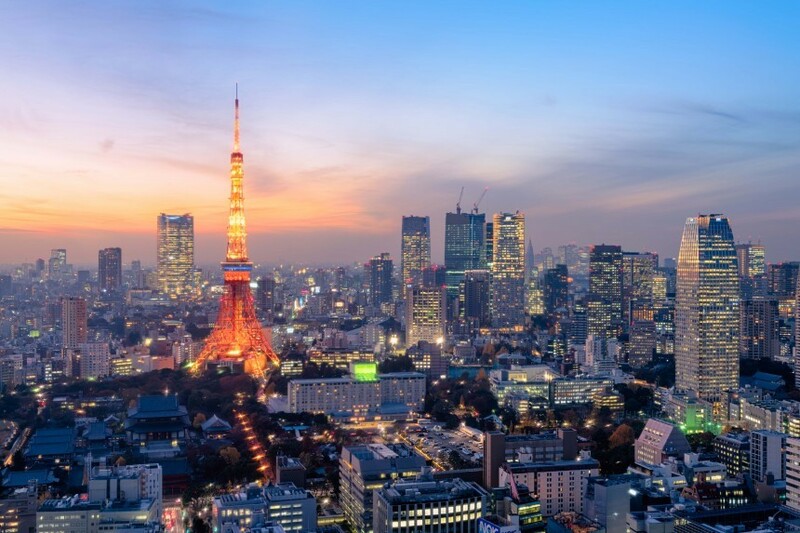 We uncover some of Tokyo’s best spots after dark, along with date ideas to impress your sweetheart. A-Bridge is one of the most adorable hidden gems in the city. Close to Sangenjaya Station, the spot is tucked away in a little alley where a rather scary-looking elevator brings you up to a quaint top-floor café-bar with recycled furniture, stacks of CDs and random art. 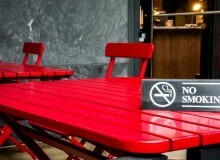 The roof terrace is decked with wooden benches and the views tower over one of the trendiest parts of West Tokyo. Order a hot chocolate with marshmallows and cosy up with your date while live music echoes from the lounge behind you. We’ve all had picnics on sunny days, but have you ever tried one at night? 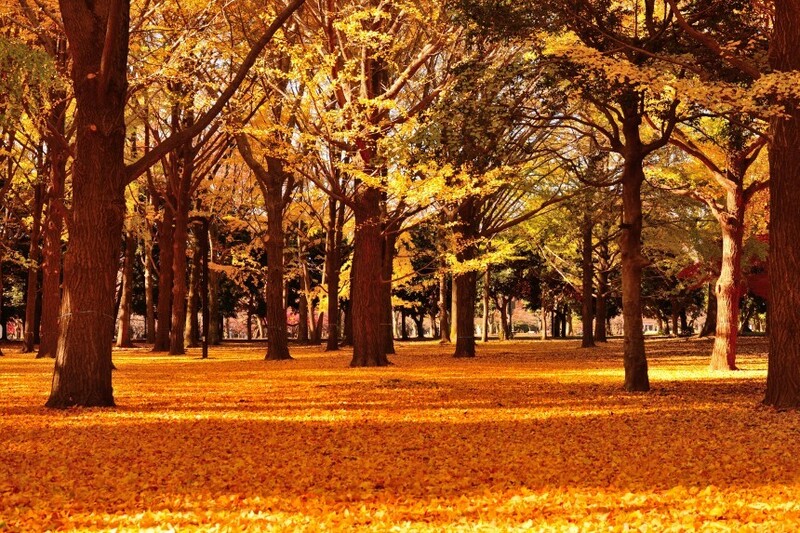 Although Yoyogi Park is packed with tourists during the day, dark skies filter them out at night, making it a perfect spot for a nocturnal picnic. The colorfully-lit fountain area provides a scenic view, so bring a blanket, pack a surprise picnic, and let your date try and guess what they’re eating. There are convenience stores close to most of the park entrances, so don’t forget those beers. The Mori Art Museum is open until 10pm every evening except Tuesdays, and there is a quiet café in the City View Observation Deck area to watch the sun go down. After exploring this fascinating museum of modern art, take a stroll over to the Mori Garden — a quiet hideaway between the buildings of Roppongi Hills. Around Christmas time, the garden and surrounding areas are illuminated with twinkling lights. Gamer geek or not, a night of retro Super Nintendo is pretty good fun for anyone, and a way to break the ice on a first date. The 8bit Café is concealed on the fifth floor of a shabby building by Shinjuku-sanchome Station, and inside it’s video game heaven. The walls are covered floor-to-ceiling in ‘80s and ‘90s gaming memorabilia with a giant Game Boy centerpiece. Battle out over Mario Kart with your competitive partner, fuelled by highballs, and afterwards skip through the lights of buzzing Shinjuku downstairs. Menchie’s Frozen Yogurt is a nice pit stop during your explorations and is open until 11pm. 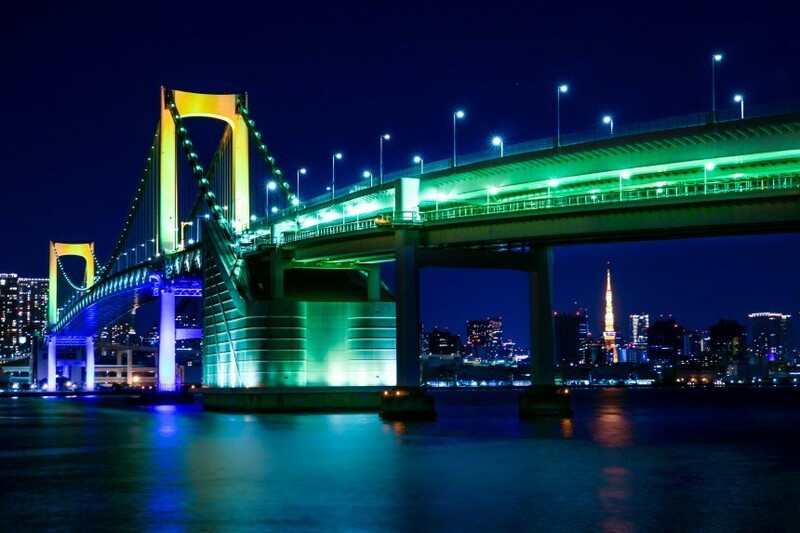 They don’t make bridges much prettier at night than the Odaiba Rainbow Bridge. The 798-meter suspension bridge runs from Shibaura Pier to the Odaiba waterfront, and you can actually walk along it during the day. 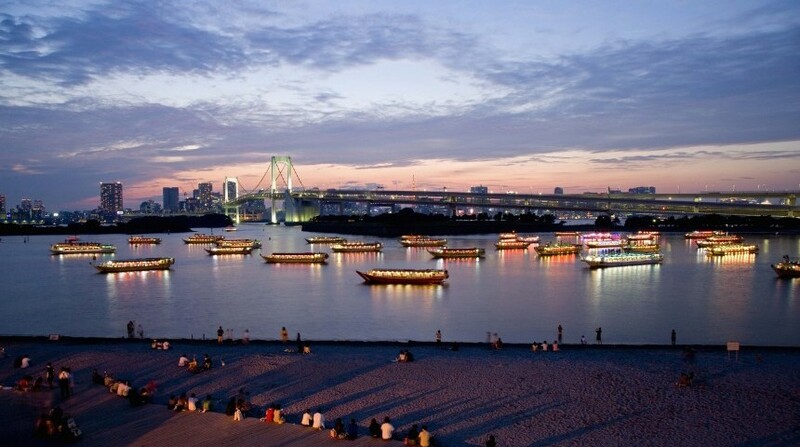 From sunset to midnight, the bridge lights up in a series of rainbow colors using energy-saving non-electrode lamps, and boats pass underneath. Enjoy these scenes from the seaside park, or, if you’re feeling brave, take a dip together in the cold water. Nakano is often left out of Tokyo travel guides, meaning this neighbourhood is generally backpack- and selfie-stick-free. But that’s not to say that it doesn’t carry an abundance of attractions: biking through Nakano, whizzing through its wide streets under neon lights, and stopping at some of its delicious eateries and dessert vendors, all makes for a perfect date. In Nakano you’ll find Daily Chico, famous for their eight-layer soft-serve ice cream that’s perfect for sharing. 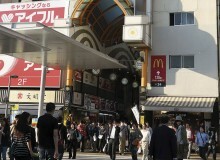 The shop can be found in Nakano Broadway, a 13-level complex of commercial fun (imagine a cooler Akihabara). 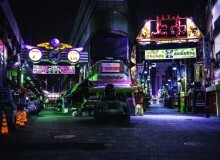 At night you can take your lover on a tour of the local area, including the enchanting Nakano 3-chome area lined with fairy lights and cute little restaurants and bars, before releasing a bit of steam in one of the many karaoke joints. A stunning rooftop restaurant with amazing food and drinks doesn’t have to cost a week’s salary, even in uber-cool Daikanyama. Hacienda del Cielo is a popular Mexican restaurant on the 9th floor of the Mansard Daikanyama building. This place gets busy, so it’s best to make a reservation, although it may be possible to get a table out on the heated terrace late at night on a weekday without one. The view is fantastic, including a distantly-lit Tokyo Tower. Food options include Mexican classics such as tacos, fajitas and quesadillas, with delicious cocktails and frozen margaritas. A glass of sangria comes in at a very reasonable ¥500 and small ‘Platillos’ dishes range between ¥300 and ¥500 each.